The Allenhurst Beach Club will be open 10-7 PM on September 15th and 16th. Take a look at this amazing video taken via drone of the Ocean Dyeing on 9/2. Courtesy of Mr. Rich Bantel. The beach club will be open Saturday September 1st until 10 PM. The beach club will be open through September 9th from 10 AM to 7 PM. The beach club will be closed from September 10th through September 14th. The beach club will be open September 15th and 16th from 10 AM to 7 PM. Cabana service is only upon request. Cabanas/Lockers MUST be cleaned out by 7 PM 9/16. Saturday September 1st Adult Swim races poolside 1 PM. Saturday September 1st End of Season Party North Beach. Saturday September 1st Poolside Entertainment 2-4 PM Charlie Brown. Saturday September 1st Cabanas Entertainment 7-9 PM Mike Caruso. Sunday September 2nd dyeing the ocean green 2 PM. Monday September 3rd inflatables poolside 12-3 PM. Due to mechanical issues, the SS Allenhurst will not be running today, August 26th, 2018. 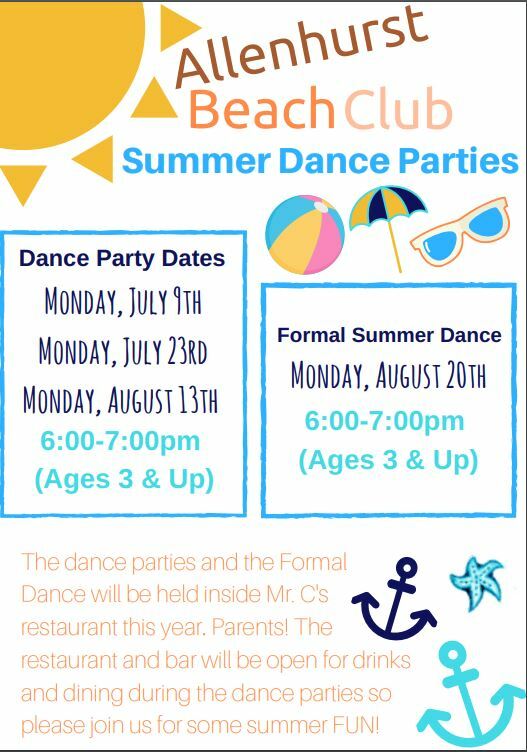 The Allenhurst Beach Club will close at 5:00PM on Saturday, August 25th. The First Responders Ball will begin at 7:00PM. 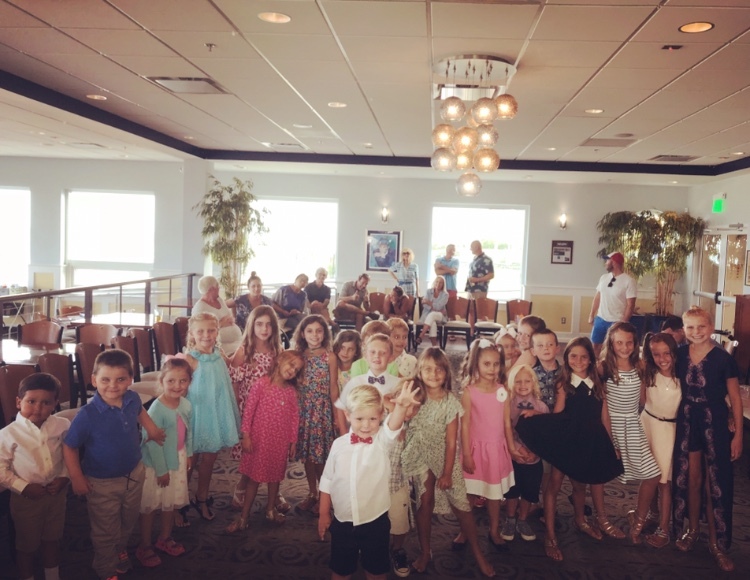 Formal Children’s Dance, August 20th 2018. Due to inclement weather, the Allenhurst Beach Club will be closing at 1:30 PM today.